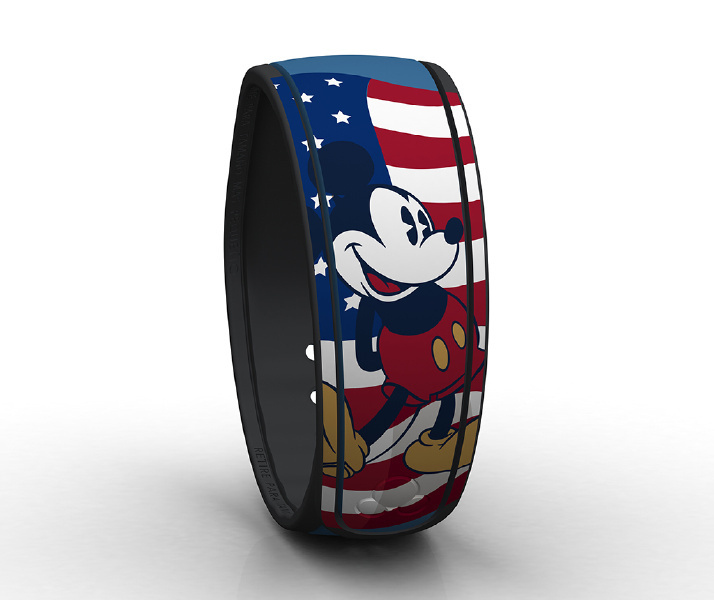 I’ve gotten word that the predicted Grumpy and Americana Mickey MagicBands are out for sale. I’m still trying to track down the exactly locations of where and what the backs of the new bands look like. But I have marketing pictures! Grumpy is Open Edition, retail for $19.95, and doesn’t make any lights/sounds at FP+ touch points. Americana Mickey is Limited Release, retails for $24.95, and doesn’t make any lights/sounds at FP+ touch points. 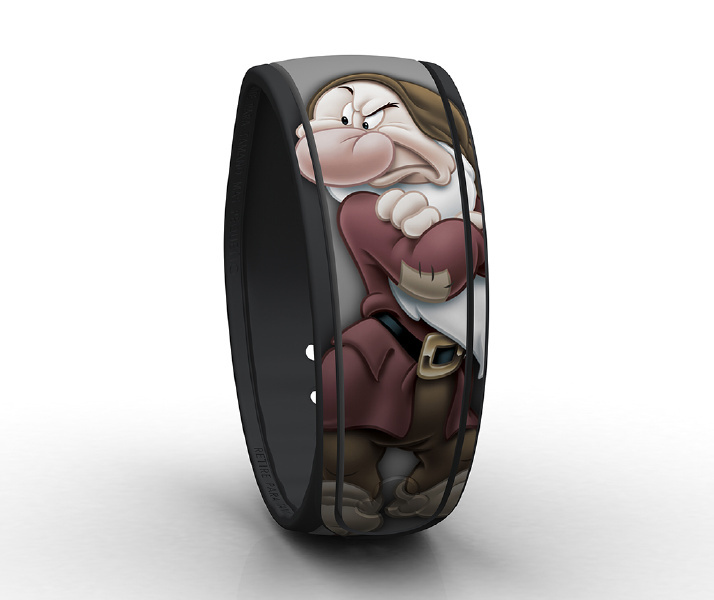 5 Responses to "First images of the new Grumpy and Mickey MagicBands"
They are listed for $45. each on eBay, so someone got their hands on them. The seller listed 2 available of each, so maybe you can contact the seller and see which Disney store they got theirs from. Nevermind, everybody on eBay has them now it seems. $35/each is current price. Thank you! That’s the first confirmation I’ve heard of someone actually seeing it in person.